The big moment has finally arrived! We gush and chat about Casca's first words upon returning, her BRAIDS, the future of the series and more. Thanks again for having me on! I had a great time. Thanks, these podcasts are always great to listen to! Been reading Berserk last 5 years and listening to podcasts last 4 years - and this podcast discussion has been the one I've been waiting for! Great as usual guys and gals! When you all where discussing future interactions between Isidro and Casca I was thinking about Casca possibly unveiling to Isidro that Guts was the raiders captain of the Falcons. 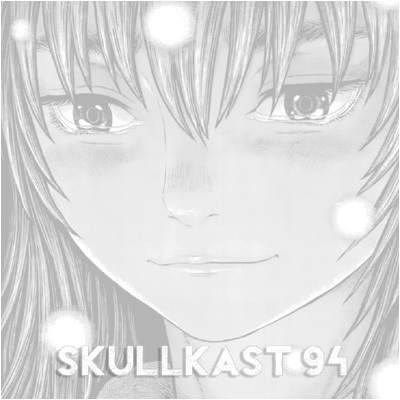 It would really be cool if Casca became Isidro's new teacher and for him to then favor the famous female commander of the Falcons over the raiders captain (and possibly a crush similar to the one Schierke had/has on Guts). Casca coming back throws in a whole new dynamic to the existing group. I am excited to see how the whole gang interacts with her. For example, I could see Magnifico bad mouthing her, something along the lines of "I'm not taking orders from a girl!" and then immediately getting punched in the face. I can't wait for the near term story to unfold! When you all where discussing future interactions between Isidro and Casca I was thinking about Casca possibly unveiling to Isidro that Guts was the raiders captain of the Falcons. Casca coming back throws in a whole new dynamic to the existing group. Great podcast, great ensemble, loved every moment of it. I am excited to see how the whole gang interacts with her. About what you said about us seeing some action in the near future: what if Casca gets violent and attacks someone? Of course, if she attacks Guts she'll just get pinned down instantly, but what if she attacks Farnese or Schierke for bringing her back? If she gets her hands on a weapon, then depending on how much of her skill she retained, Schierke's hypnosis and Farnese's thorn snakes may not be enough to stop her. In fact, she might prove difficult to detain by anyone except Guts, Serpico or some of the mages without hurting her. While I think a "violent" reaction, particularly something "involuntary" or like a panicked freak-out, is certainly within the realm of possibility, I don't think an otherwise sane Casca is going to try to straight up murder people she just properly introduced herself to. More likely that Guts would bear the brunt of an outburst of any kind, and frankly I'd like to see him just take it, because he can. Hell, she could respond negatively and hate him and he might still be crying happy just to hear her say so. Or, he could just let her stab him to calm her down; it's worked before. Yeah, maybe Casca trying to kill someone is going too far, but she could still only try to beat them up. I didn't consider that Guts would just let her hit him. That's also possible. Great episode as usual! One question though: is it so that the re-read project is dead? Walter seemed to say as much at the end of this episode (when he said that the podcast would be back in a few months), and I for one think it would be a real shame if that were the case. One question though: is it so that the re-read project is dead? Oh, come on, I'm sure these guys have something special prepared for us, isn't that so? I wouldn't call it dead. More like, really, really, catatonically sleepy. If you prod it with a stick, it'll roll over but remain with its eyes closed. Great skullkast guys. Kentucky Fried Griffith lol. Somebody's going to have to Photoshop a bucket of KFC with Berserk images at some point. Great episode by the way guys, entertaining as always and a very funny one too.